Above all else, wheelchairs need to be functional and comfortable for the user. At Mobility in Motion, our manual wheelchairs cover both. Whether you need one that easily folds for storage or that can tilt at different angles, our selection covers a wide range of needs for our clients. You can come in to one of our showrooms in Ontario to see for yourself or we can visit you for an in-home consultation. For those with very limited mobility, a power wheelchair can bring a whole new level of freedom to their lives. Features include a full suspension base with front and rear shocks, easy to reach battery compartment, easy to handle maneuvering and high-traction wheels. When safety, comfort and convenience combine, you have a power chair that matches what you need. 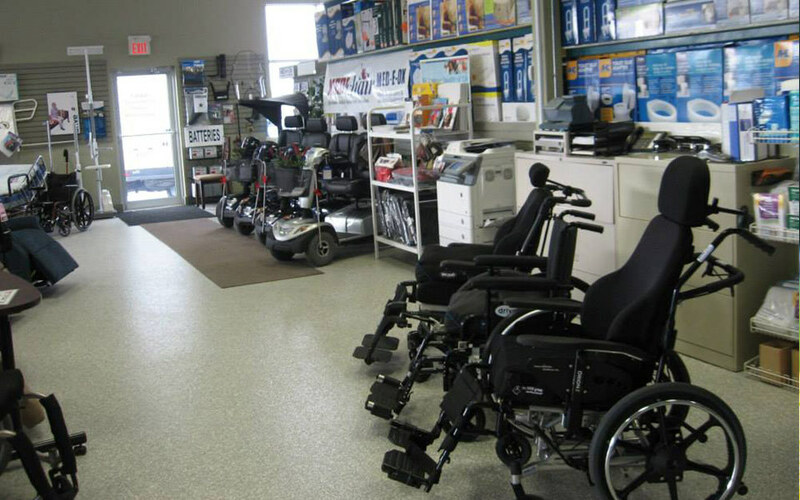 For more information on your wheelchair options in Ontario, call Mobility in Motion today!